ARE YOU LOOKING FOR A PROFESSIONAL BRIDGEWATER ELECTRICIAN? Electrical wiring in a house is extremely complicated. It can be confusing and difficult to repair or install properly. If you allow an unprofessional electrician to tamper with your home’s electrical wiring, you are putting you and your family at risk. Electrical wiring can easily cause house fires or other electrical problems if they are not cared for properly. Being a lead Bridgewater electrician is something that Perfect Circuit takes extremely serious. We provide Somerset County and surrounding areas with superior electrical services that includes residential and commercial services. Our residential services include aluminum wiring replacement, electrical safety inspection, home generators, electrical wiring, knob & tube wiring, electrical repairs, lighting services, panel upgrades and surge protectors. We provide similar services to commercial customers including new construction services, which includes handling all of your electrical wiring for a new construction. If you are looking for a superior Bridgewater electrician, you can take advantage for our services today. 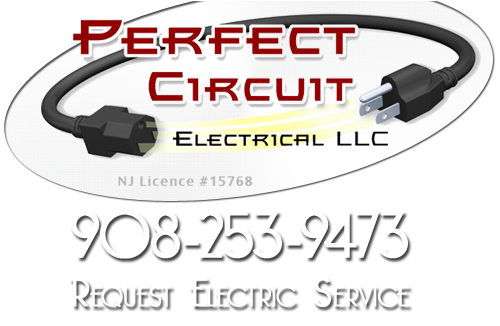 Perfect Circuit provides Bridgewater with a variety of electrical repair services. These services include ceiling fan repairs, troubleshooting, lighting repairs, outlet repairs and GFCI outlet repairs. A ceiling fan is a great way to reduce the amount of energy you use to cool your house in the summer. If your ceiling fan breaks, it can be difficult to find the exact cause of your problem. Our professional electricians can repair any ceiling fan, no matter what brand or model. Electrical outlets are another electrical item that seems like it would be an easy fix, but in reality, the problem can be more complicated. Our professionals have the skills to repair electrical outlets and GFCI outlets in your house or business. Lighting in a house is required for a house to be fully functional after night fall. Perfect Circuit provides Bridgewater lighting services that include landscape lighting, lighting installations, security lighting, low voltage lighting and pool lighting. Our electricians have been trained and retrained in the latest electrical lighting services. They can provide you with high quality services that other contractors can’t complete with. We specialize in interior and exterior lighting in residential homes. If you are looking for a way to add unique style to a room, you might consider allowing us to install a new, modern light fixture. Our professionals can recommend the perfect style of lighting for any room. When it comes to exterior lighting, Perfect Circuit can handle your landscape lighting, security lighting and pool lighting. Adding lights to the outside of your house serves several different purposes including giving you better vision at night, protecting your house from criminals and adding a special selling feature. Unique interior and exterior lighting can make your house more marketable and increase your resale value. If you are looking for a Bridgewater Electrician in Somerset County then please call 908-253-9473 or complete our online request form.